How has life changed for you since moving the Steinhoff head office to Amsterdam and being listed on the Frankfurt Stock Exchange? It’s been quite a journey. We had our first general meeting in Amsterdam on Monday, quite a new thing to experience under Dutch law. Then on Tuesday in Zurich we announced our first quarterly update on the Frankfurt Stock Exchange. There were 118 institutional investors who dialled in from all over the world. It’s new, but we’re enjoying it, a dream come true and the start of a new episode in our lives. Personally, not much has changed. I’ve been in the same job for 27 years. Why Amsterdam as the new corporate HQ? 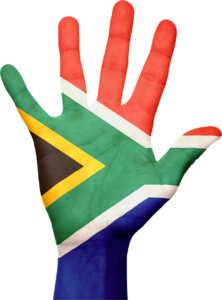 We are South Africans and will stay that way. 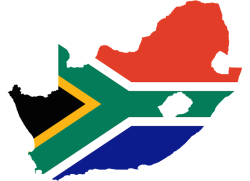 The double tax agreement between the Netherlands and South Africa is a very favourable and fair way of distributing tax between the two countries. We had to do it in such a way that when our shareholders swapped their shares from a South African company to a Dutch company they received rollover relief on capital gains, otherwise the listing was not possible. You still live primarily in Stellenbosch? I live in Stellenbosch. The head office is in Stellenbosch. We manage the company from there and the Dutch holding company is registered in South Africa for income tax. Are you travelling even more now? No. To be honest, I think it’s more structured now. In the early days, as you know, we had to physically go and find the new businesses all over the world. Today we have fantastic CEOs running the businesses in the countries where we operate. My role now is much more strategic and supportive than it was. Ten years ago, I was forever off to attend a meeting Poland, a meeting in Hungary and so on. This has evolved. I’ll come to Europe but nowadays, I can spend three or four days in one country and have my meetings in one place. Steinhoff hasn’t deviated from your vertically integrated integrally playbook…. The principle stays the same. We now have Europe chipboard and raw materials operations where we only had that in Africa in the early days. We can use the vertically integrated structure all over the world. What’s the split now between what is generated inside and out of South Africa? Twenty-five percent Africa and 75 percent outside of Africa. Did you have these ambitions when, in your 20s, you were already the Financial Director of a listed furniture manufacturer? No, to say so would be lying. With a lot of these things, you can’t say you planned it. I was 27 when becoming the FD of GommaGomma where my path crossed with Claas Daun. That was in 1992 and my life changed because Claas invested in us. Then as the business grew, he introduced me to Bruno Steinhoff and our story evolved. Obviously the dream was to become successful but how, what size, and what dimension – I had no idea at all. 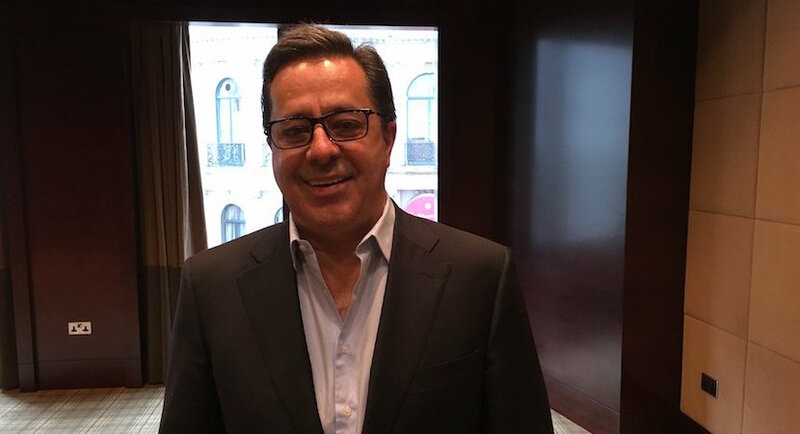 Looking back, what was it that made Steinhoff’s story so different? I’m not sure and I never compare. I just think you’ve got to have a lot of passion and drive. In a way, I was very lucky that I was very hungry. I came out of university with R100 000 of study debt – but with a Chartered Accountant qualification. After that, the money part of it got lost a long time ago for me. It’s the excitement, the people. 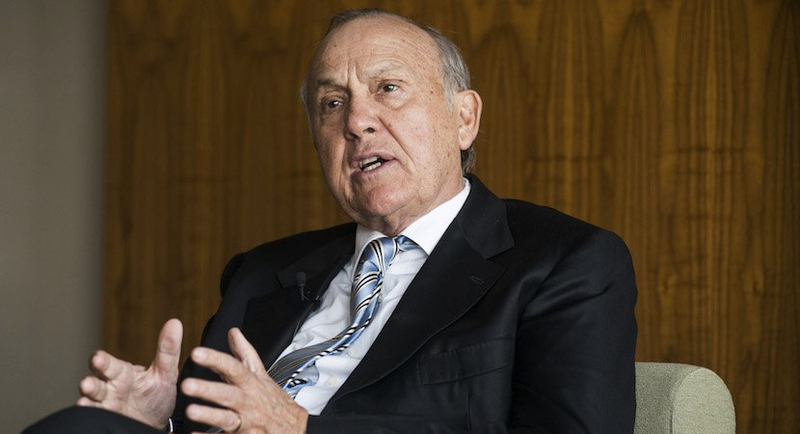 To be in a business where ten of the other execs are your best friends that is unique – then to have had the class of directors like Bruno Steinhoff, Jannie Mouton, Christo Wiese…Again, when I started my articles in 1982 the first office I walked into on my first day was owned by Christo Wiese. I always said that with everything in life the path is there for you…. You’ve launched two big contested bids here in Europe that you’d never have been able to afford a decade back – has Christo been part of that thought process? You’re 100% right – both those companies’ market cap was probably double Steinhoff’s market cap ten years ago. With Christo, the Pep/Steinhoff merger put us in a different league from a balance sheet and a capital perspective. We more than doubled the market cap of the company with that transaction. We live in a world today where size and financial strength is very important factor. The more money you have; the more money they want to give to you so your access to capital becomes cheaper. Our mandate from the Wiese and Steinhoff families as long-term investors is to grow the business. There was a bit of a feeling out there that we would acquire anything at any price. That’s never been the Steinhoff way. I’ve walked away from more deals in my life than I’ve done, but because they were all private nobody knew about them. Those bids (for Home Retail and Darty) got lots of attention because they involved companies listed on the London Stock Exchange and it was all very public. If you go to an auction and you want to buy a painting or a horse, you must have a price and if bidding reaches that price, you must have the discipline to walk away. That’s what we did with those two deals. On Tuesday in Zurich at the board meeting, I said to the board that it’s a strange feeling for me: I’m not a good loser and these are two deals we’ve lost. But because of our discipline, I’ve gotten the most compliments for walking away than for deals we actually concluded. In the Darty deal, through your French subsidiary Conforama, you owned a big slug of the company. Are you going to break even on the financial investment versus the bid costs? We have about 21% of Darty. At the FNAC bid price, after cost-in we’ll probably make a profit of €40m. That’s why there aren’t too many tears at Steinhoff. But I don’t like failure – it would still have been better for me to own the business because it was a good fit. Darty is one of the most recognised brands in France and our team had a great plans of how to work together with them. I’ve congratulated FNAC. I think they’ve bought an excellent business and I wish them well. It takes away a bit of the sting, having to foot a big advisory bill on a losing deal? Yes, one can be a bit more relaxed about it – we jokingly told the board Steinhoff would have to sell a lot of lounge suites and t-shirts to make €40m profit. We bought at the price we were happy with; sometimes in bidding wars you get to a point where you’re in a no-lose situation. What about the attempted Home Retail acquisition, obviously Argos was the attraction? Argos is a phenomenal brand. Its footprint throughout the UK is something that would take you 30 years to build. It’s a company does over £4bn turnover which shows you how strong the brand is. They have taken a traditional mail-order company onto a digital platform but with 1 000 stores for click-and-collect and for service. That is a perfect retailing model for the future. Obviously, Sainsbury saw the same opportunity and again, we had to see what the value was to us and they bid higher. Warren Buffett, at this year’s AGM of Berkshire Hathaway, talked a lot about Amazon – and its threat, and the apparent need for competitors to scale up fast, was highlighted in commentary around your bids – is that a fair comment? Amazon is a fantastic company and we’ve got a very high regard for them. We’re aware of the Internet’s threat to the traditional retail world. But what Mr Buffett is talking about is a little bit different for Steinhoff. We’re in the mass discount market serving the poor of Europe. It’s a very different market to selling branded products on the Internet, delivered by DHL at your house the next morning. Our customers are not in that game. We do enable our customers to use their mobile phones, surf the Net, investigate the transaction, look where the best value is, and even order online. But most of them come into the store to pick up what they have bought. Amazon have announced that it is opening storerooms in Europe – supporting our view the model of bricks and mortal together with IT is the future. The world is big enough for a few players to all do well and trade profitably. Amazon’s market cap is now over $300bn, more than ten times the size of the enlarged Steinhoff. Is there a concern that if you don’t grow fast you could be eaten? We’re in the mass discount market so I’m not concerned about that. The biggest part of Amazon’s valuation is in the United States where we have no presence. I’d rather say that maybe, in years to come or in the next generation, Steinhoff managers might want to go into America to apply their skills which could enhance our growth. In our European base, we are still substantially bigger than Amazon in our categories. You’ve made a big impact in Europe in a short time. For instance, when the German giant Metro spun off Media Markt and Saturn, you were immediately tagged in the media as as a possible buyer. It created new expectations…. We are at a place now where any corporate deal in general merchandise, household goods, or electronic goods anywhere in the world, would find Steinhoff listed as a potential participant. We look at everything. But I’ve learned more by walking away from transactions than the ones I’ve done. You meet people. You enrich yourself by seeing what other companies do, so we always have a look. But as I’ve said, we have very fixed ideas about capital allocation – our minimum returns and valuations. If it fits, we do it. If it doesn’t, we’re happy to move on. Of 100 potential transactions you investigate; how many would you have walked away from? The majority, by far. Over a 25-year period, we probably executed 25 percent of what we looked at. How does that filtering process work? Firstly, we’ve got a worldwide Exco which includes the CEO of every country. We meet religiously once a month. Christo Wiese and Bruno Steinhoff join us as well. We’ve got a fixed date on a specific Thursday of that month starting from two o’clock until whatever time – sometimes very late at night. How long the meeting lasts depends on what’s on the table. Every potential corporate transaction after it has passed the operational report stage is on the agenda. That’s where they are discussed. For instance, if there were interest in the Metro spinoff our German CEO would look into it first, and if his board think it’s good for their operation, they will then refer it to this monthly Exco meeting. Then the M&A team in Stellenbosch and Cheltenham will go look, conduct the Due Diligence and submit the report which then gets discussed at the monthly meeting and either approved or disapproved. It’s a very sophisticated system. Every CEO around the world on that video conference that day gets a chance to say what he thinks – it’s a fantastic forum of highly qualified, very diverse operational people. Add in Christo’s deal-making capabilities and it’s like a bank’s credit committee. It’s not the Markus Jooste show as the media might sometimes suggest. It is obviously the area I enjoy the most. My life has always been about relationships. All these things happen because of relationships – trust each other and eventually you will do something together. That’s why my biggest task today is to actually meeting competitors, CEOs of other companies and, especially the families that own the businesses to talk about the future. Then one day should they want to sell – if the next generation doesn’t want to continue – I’m the guy they contact. That’s how a lot of these deals come to fruition. We listed the company on the Johannesburg Stock Exchange in September 1998. In the week of our listing the Emerging Market crisis hit – it was a very, very tough time. SA Breweries wanted to dispose of its whole furniture manufacturing division, Afcol as they called it in those days. We were at the table. At that stage, Claas Daun was my main partner and supporter and we were bidding against another recently listed company, Pat Cornick, supported by Brait (funnily enough now owned by Christo Wiese). The bidding reached R17 a share and they went R17.50. Claas said that’s too much and we walked away. Twelve months later, after the crash, we bought the company for just R3.80 a share. 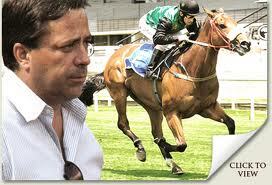 That bit of luck made us a powerhouse in South Africa, it triggered the escalation of Steinhoff. Those were my game changers: meeting Claas; buying Bruno Steinhoff’s business; buying Afcol/Cornick in ’99; making the move into retail with Homestyle here in the UK as the first one, then Freedom in Australia. 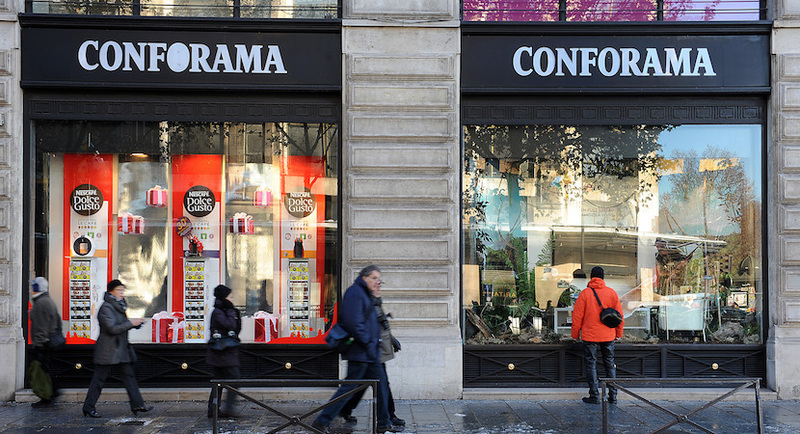 And the big European game changer through the acquisition of Conforama in France. That was in 2011 when the world was on its knees, money was a problem, trading was tough and at that stage, €1.2bn was an enormous amount of money for Steinhoff. We worked our way through the numbers and borrowed the money – it put us into a different league. Then of course, in 2015 the same happened with the merger with Christo Wiese’s Pepkor, another game changer. Those were Steinhoff’s pillar transactions, the ones you need to build a business this size. These two recent transactions are not quite of the same scale, more bolt-ons. Is that the future approach are are you hunting another elephant? It becomes more difficult as you grow. Five years ago, for us an Argos with £5bn turnover and £1.2bn ticket price would have been a game changer. Now, with 20-odd billion Euro market cap, it isn’t quite the same. I’m not hunting elephants, but there are other sizeable players all over the world and you never know what comes across your path. I would say it’s a 90% probability that bolt-ons would probably be more likely. Unfortunately the game changing opportunities only happen two or three times in your life – size does become a problem to replicate them. How do you know that it is the one you really are prepared to go for? 99 percent is the people, they’re the most important thing to suss out. I’m not a Due Diligence guy. If you’ve have to count the stock, read through leases, check the title deeds – you should never have considered the deal in the first place. The critical part is the human Due Diligence and that’s what I spend 90% of of my time on. Ask questions like is the management team committed? Do they have skin in the game? Are they going to fit with the Steinhoff DNA? I am very proud to say that of all the companies we’ve bought in the 28 years of Steinhoff, we’ve never lost the entrepreneurs who joined us. They’re all still with the group today. They all have shares in the company and most of them are still running the same business we bought from them. That’s what we tried to create – a listed, very well run corporate governance company in an environment where a 100 percent full-blooded entrepreneur can live out his dreams. That, really, is our culture. How do you learn who you can trust? Over the years it gets easier to see who fits into our culture. At 24, I left the auditing firm the day of finishing my articles because I knew that I had to do something for myself – the next morning I became a shareholder of my biggest client at the auditing firm. I think it’s in your blood to want to have ownership. But what a lot of these family people find difficult to get over is that it is usually better not to own 100 percent of your own company. For instance, for them to own 2% of Steinhoff is worth a thousand times more than having held onto 100 percent of their own company. Crossing that bridge is where many people fail. 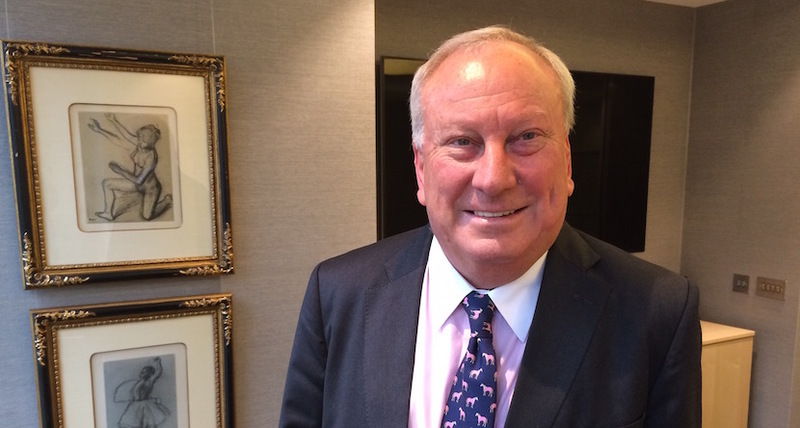 Christo Wiese says you get employees and partners – and you need to understand the difference between those two. The passion, the enjoyment of what you do, and the risk you take. We have more than 100 guys all over the world with all their wealth in Steinhoff. They worry about their part of the business so that I don’t have to worry about it for all of them. That’s the comfort that you get, from a partner: 90% of his wealth is invested with you in the same company. Another of your passions is horse racing – which is a high risk business that seems a million miles away from what you do professionally….How did the bug bite? My father was a punter. He worked for the Post Office in Pretoria in Bosman Street. The office where he worked at the Post Office has a Tattersalls was right next door. On Saturdays, as a young boy, I went with him but the experience was totally different in those days. You listened to the commentary via radio. at the age of 12, I was what you call a runner – the guy who ran with between bookmakers with tickets laying off their bets with each other. With that background, my interest in the sport was stimulated – but seeing it up close didn’t create a nice feeling towards the betting side. My dream was follow people I looked up to in that part of my life, the racehorse owners like Harry Oppenheimer, Laurie Jaffee and so on. When financial success came, I was able to afford to own a horse and that’s where the luck came in. My first racehorse was National Emblem who became a champion and a successful stallion. Since then I reinvested everything that came out of his stud career so today it’s a big business in my private family affairs. My son is very involved and he’s managing it for me. I’ve never bet and that is perhaps the difference – I participate in it as a sport. Today I have horses where I’ve raised the father who is now a stallion, and I’ve raised the mother who’s now a broodmare and the baby born out of that union, on my farm. is racing in my colours. That’s the ultimate satisfaction. If you’re not a racing person, it’s hard to understand. It’s like your child at six years old winning the 50 metres at primary school. That happens often with horseracing and the dream continues. I’m very fortunate that today, I have racehorses all over the world and a wonderful partnership with John Magnier of Coolmore now where they’ve allowed my racing partner Bernard Kantor and I into their fascinating world. To be able to race in England, in France, and all over the world is a whole new experience. So now the dreams become much bigger – to one day, have a Derby or an Arc winner. Racing is also my my relaxation outside of my day job. If I come into a hotel room at 11 at night, I fire up my iPad and watch my horses racing all over the world. That’s when I relax. I don’t go to the races themselves often enough but that will come in later years. Steinhoff taught me you must try retain the leakage of margin in all the categories of the chain. As Ikea was the driver for me to build Steinhoff but slightly differently, Coolmore is the role model on the racing side. It’s unbelievable what John has done there…he has it right down to producing their own food, vets, hospital, farms, and even their own trainer. Aidan O’Brien only trains Coolmore horses. For anybody in the thoroughbred game, a visit to Coolmore is a must. You’ve come a long way from those Pretoria days…with your father working for the Post Office presumably there wasn’t plenty of money around? Not at all. I was lucky, I did very well at school so got a bursary from Stellenbosch University to study there. In those days, you student loans were normal, but the debt adds up if you spend your time at university. I think that started it all. There was no time – like we see today – for children to travel the world for 12 months before they start studying or working. I could only afford three years at Stellenbosch and when I got my Accountancy degree, started my Articles the next year and I studied at night at UCT for my Honours. It was a different world but you had to do it that way. There was not time or money to waste. It was just a different time, but a very lucky time for all of us. Where did your incentive to work hard, even from school days, come from? My father and I were very close. He was a very special guy, and a very intelligent guy. When we were young, every night he would sit and go through all your homework with you and help you. It was a culture. Children develop their intelligence very young and he put his whole life into his children. He couldn’t afford other things, so that probably helped a lot. He built that drive to be successful. Your life is an inspiration to many young people at home, especially those White South Africans who see an uncertain future – how do you encourage them? It’s very easy to be pessimistic and just see the dark side of life. I’m an optimist. I try to show that in my behaviour, to show that to our young people and my own children. I think that if you take opportunities in life, you’re committed, and you work hard, you can make it anywhere in the world. If you think about countries with backgrounds like Poland, the Czech Republic and Romania and I see the young people who run our businesses there and how successful they are… White South Africans, if you work hard you’ll find your place in the sun. South Africa still provides a lot of great opportunity for people to be successful. We have a lot of success stories coming through from all parts of our Rainbow Nation so I encourage them to work hard, get a qualification, and you’ll find your place. All big companies are looking for good people. I’ve employed bright people without having any plan or even a job for them. For a good guy who wants to work hard, there’s always a place for him in the company. Alec, for me that is sacred because I think if you want to keep it all yourself, the plan will end. If you share, it leads to longevity and I think that is very important. I’m very proud of all the multi-millionaires that we’ve made at Steinhoff and that we can all share it together, and everybody has space for each other. You can never run a business this size with just one, two, or three people. We like to share. My whole life has been like that, so I don’t know any other way. In everything I have, I have partners. I don’t like people to say ‘I work for you’. They should rather work with and be part of us together. Then you sleep a lot better.